With commands such as left forward, right back, forward two and HOLD ON! the adrenaline rush of white water rafting on the Rogue River makes for an awe-inspiring (and ridiculously fun) afternoon on the water. Indigo Creek Outfitters, based in Ashland since January 2011, is owned and operated by Will Volpert who was raised on rafts on rivers. Will is the ultimate guide, offering his guests the best possible rafting experience while keeping everyone well-instructed and safe. Will also has a tremendous team of guides and on every trip there is a photographer capturing the highlights of your river adventure. Just to prove to you how great the photos are, all photos used in this post were taken by Brandon with Indigo Creek, while rafting on the river! Start your adventure by arriving at the Indigo office, located at 130 A Street in Ashland. They do offer storage, but if possible don't bring anything with you because you won't need a thing and really, who's going to call you on your cell phone on the river? Sometimes, it's good to turn off the electronics for a few hours. After a safety talk, each participant is fitted with a life vest and helmet, which you take with you on the Indigo blue van. It's a short 30-minute drive to the river where you'll launch, near Gold Hill. Once you're in the raft, and on the water with your guide, you'll get clear and easy instructions on how to paddle and when. If paddling isn't your thing, no problem. Just let your guide know and he/she will make sure you're seated where you can just hold on and enjoy the ride. For 5.5 miles you'll see the wonders of the Rogue with its cool clean water and wildlife such as bald eagles, Canada goose and osprey. It's a nicely paced trip, floating with Will and his guides, plenty of time to relax and take in the stunning scenery while gearing up for the next run of white water. There are several areas of white water with Nugget and Powerhouse being the biggest and the best. Not only will you run the rapids, but then your guide will have you turn your raft around (facing the rapid you just came down) and he'll teach you to surf the rapid, which is just beyond fun! Never been white water rafting before, maybe not so sure about the whole idea? No worries, you'll feel prepared, safe and relaxed in the hands of the guides of Indigo Creek Outfitters. It truly doesn't get any better than spending a few beautiful hours on the river. It's one to check off your bucket list and Will and his guides are the best team to give you the time of your life on the Rogue River. Seriously, call Will today and book your trip. 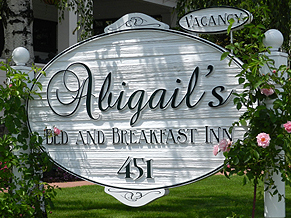 And of course you know where to stay while in Ashland, right?